Well, today was the low point in the build so far. 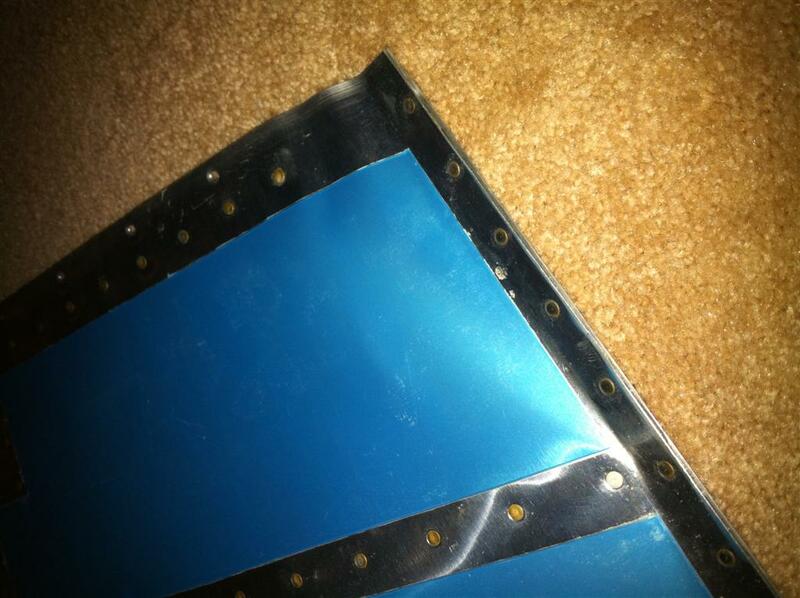 I was fiddling around with the empennage, trying to set it up to look like a tail for the “completed empennage” picture everyone posts, and I dropped the rudder. 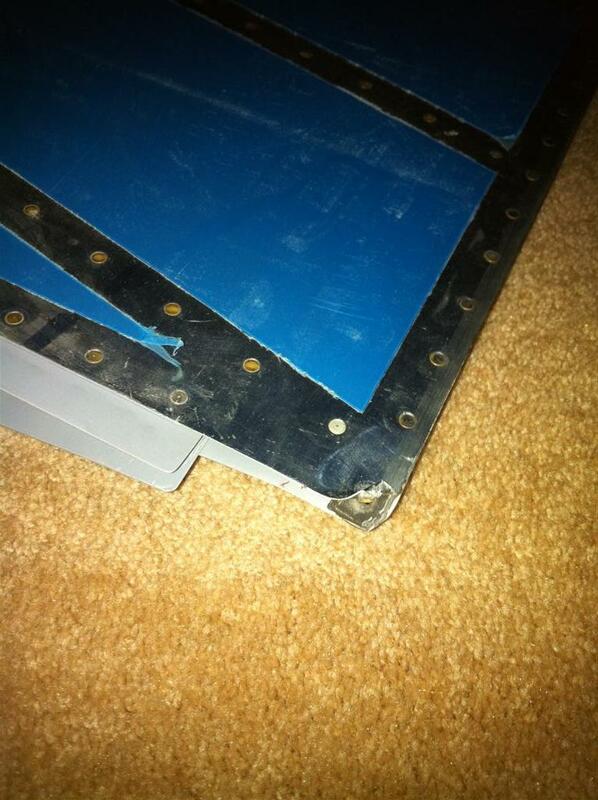 It hit on the bottom aft edge, bounced a little, and then hit in the top rear edge. Top of the rudder, aft, looking forward. Yikes. After staring at it for a good ten minutes, and flashing through all of the days and hours I put in on the rudder, I finally figured out o could probably drill out all the skin rivets and replace just the skins. I’ve also always wanted to put the smaller RV-8 rudder back on the airplane, which should save weight and bring the CG a little further forward. 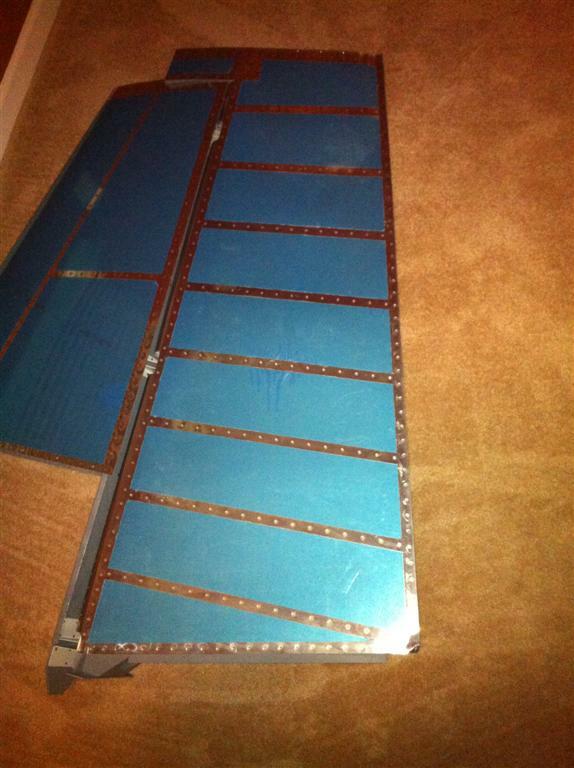 I’m going to find a copy of the RV-8 preview plans tomorrow and see how hard it will be to build the RV-8 rudder from what I have. Here’s the thing that really stings. While I was messing around with the vertical stabilizer and rudder, I was even thinking about how much effort this was for a stupid picture, and that a second pair of hands would be helpful. The good news I that the wing arrives this week and I can busy myself with the inventory while i think about what to do. In the mean time, I need a happy picture. How does this one do? 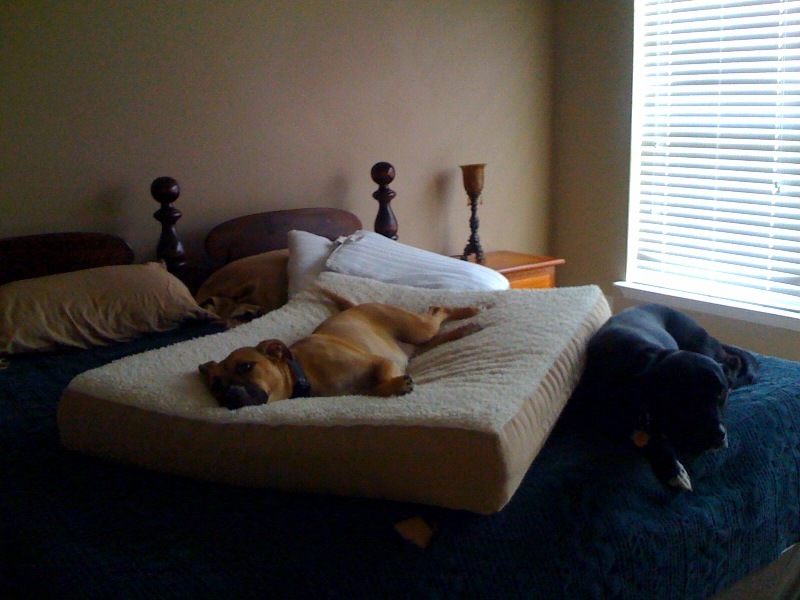 Ginger (some call her "princess"...I wonder why) and Jack, taking over the bed. 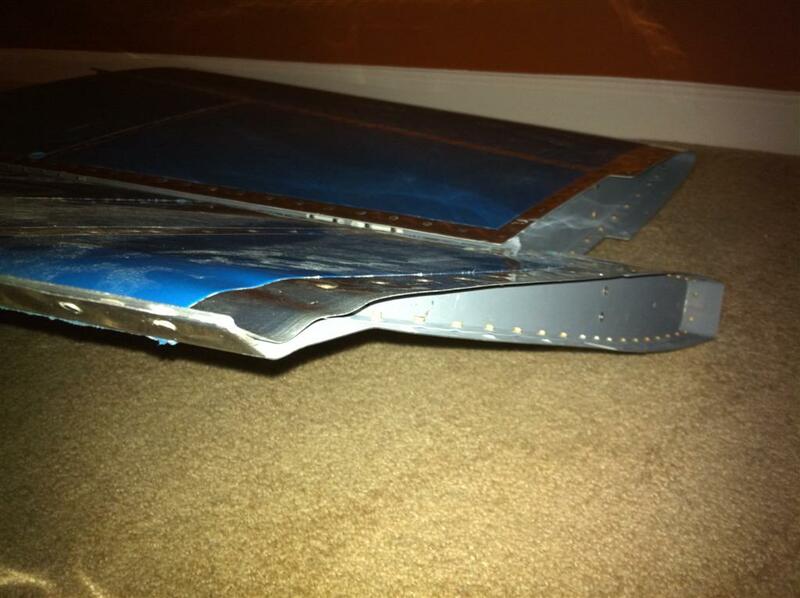 This entry was posted on Tuesday, August 10th, 2010 at 9:30 pm and is filed under Empennage. You can follow any responses to this entry through the RSS 2.0 feed. You can leave a response, or trackback from your own site. andrew….i am bummed as hell to read this. I’ve lurked for awhile watching your progress. I’ve seen your follow-ups so I’m glad you’ve arrived at a decision on what to do. I’ll be watching the wings! My wife and I are going to the RV build sportair workshop this weekend.